The mission of the transformation center is to take the children off the street and prepare them to go into Mercy Homes. 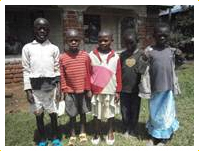 These five street kids of Kitale, Kenya, are just a representation of over 153 million kids worldwide between the ages of 2-18, that are orphans. These two boys and three girls were abandoned and left to provide for themselves. Scarred emotionally and physically by the streets, many of these children have turned to sniffing glue for comfort, to avoid feeling cold and hungry, and just as a means of survival; see more at GlueBoys.com. 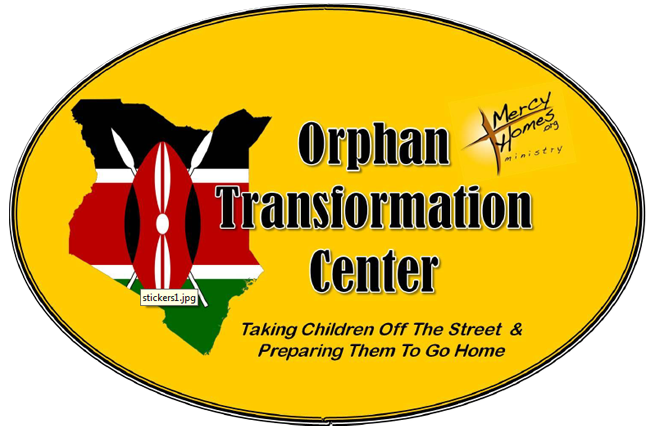 The Mercy Homes Transformation Center was founded on love, compassion and God our Father’s command to look after the orphans in their distress as stated in James 1:27. These five children and many others like them have been provided with food and clean water, medical care, and guidance under a spiritual family, through a direct sponsorship of Mercy Homes. These little lives were unchained from their past as they went through a transformation that only Jesus can provide. After approximately three months, they were transferred to an identified Mercy Home Family (MercyHomes.org) where they received the proper care, good food, education, shelter and spiritual upbringing. These are not orphanages, but homes where children grow in love, peace and responsibility. New Beginnings ~ It's 1st class! Pastor Ken, his wife Abigail and their children invited their new brothers and sisters into their home with open arms and love. through the years. This Mercy Home is currently full and can become a transformation house at any time when abused, abandoned and orphaned children are brought in off the streets of Kenya and need to be transformed. With the support of the Mercy Homes Ministry, we hope to help people understand that street kids should be seen the same way we view our own children. They are simply children who have no parents, no support system or societal structure to help them. Many people have no idea the problem of street kids even exists. We believe that when someone becomes aware of the plight of street children and starts to understand this problem, they will feel a need to help. JOIN US..LOVE MERCY. MERCY IS ONE OF THE MOST BEAUTIFUL TERMS WE FIND THROUGH OUT ALL OF SCRIPTURE. OPEN YOUR MIND, BUT MORE IMPORTANTLY, OPEN YOUR HEART TO SEE THEIR LIVES FROM GOD’S PERSPECTIVE. Never underestimate the power of prayer and God's ability to intervene in any situation. Let people know this problem first-hand. 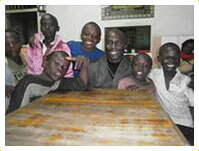 Tell your friends about the glue boys of Kitale, Kenya. Share about miracles taking place at the Mercy Homes Transformation center. Give $1.00 per day/child necessary,to transform the lives of those who that Jesus has called and has placed his hands on or go to https://www.gofundme.com/kenya-education-needs-2020 to give the gift of education. Donations for the Mercy Home children are accepted through Voice of Gospel Ministries International, their 501(c)(3) non-profit corporation. Please add “Special Instructions” for your donation reflecting that you want to sponsor a specific child, country or project fund in the section below the dollar amount donated.